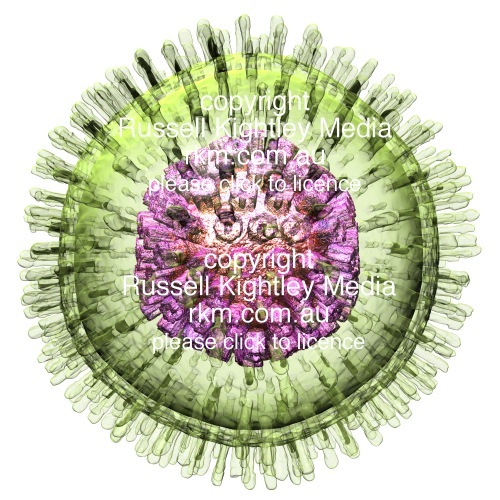 The translucent greenish spikes covering the surface represent the surface glycoproteins that are anchored in the viral envelope (greenish oily looking outer layer). This viral envelope is derived from host cell. Below that is the tegument, consisting of various proteins. Deep to the tegument is the icosahedral capsid (purple), that contains the DNA genome (red body in centre of virus).